A SHOP WORKER who claimed that her boss kicked the back of her chair and said she felt pressured to withdraw the allegation has been awarded over €7,700 in a case before the Workplace Relations Commission. She brought the case against her former employer, alleging that she was unfairly dismissed, unfairly deducted money and owed annual leave entitlements, amongst other matters. The problems in her job originated with the alleged incident on 22 December where the managing director of the company she worked is claimed to have shouted at her telling her she took up too much room and proceeded to kick the back of her chair. The woman said she felt upset over the incident and complained to the manager of the shop. Later that evening, she posted memes of a derogatory nature about bosses on her Facebook page. On Christmas Eve, she says she was told by the shop manager if she apologised to the managing director and withdrew her allegation that he’d kicked the chair, then she’d be reinstated. She refused to retract the allegations on a number of occasions, she claimed, and was told she’d engaged in “gross misconduct by way of gross insubordination”. The worker said the original suspension was over the Facebook memes, and not the alleged kicking of the chair. Following a disciplinary hearing on 20 February where she was shown CCTV footage of the incident before Christmas, she was dismissed from her job with immediate effect for gross misconduct. In its defence, the company claimed that the worker had wrongly accused the owner of the business of assault and of being a liar. These allegations escalated when she alleged the CCTV evidence showing no assault had been tampered with, the company said. “The Respondent stated that there was no desire to impose the penalty of dismissal and that every effort was made to avoid that outcome,” the company said but the claims made by the women were so “objectionable, grave and serious”, that they were left with no alternative. The WRC adjudicator found that, because the managing director was part of the initial incident and subsequent investigations, it breached the woman’s right to an impartial and fair hearing. The woman was awarded €5,500 compensation as a result of an infringement of the Unfair Dismissals Act. The woman was also awarded a sum of €2,190, or the equivalent of six-weeks pay, which she was not provided with despite having more than 10 years of service at the end of her contract. Email “Worker who posted derogatory Facebook memes about 'bosses' awarded €7,700”. 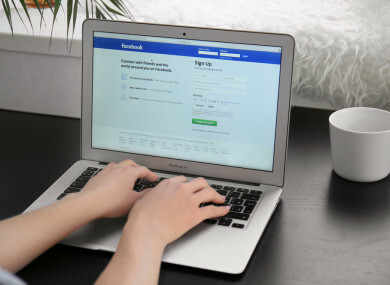 Feedback on “Worker who posted derogatory Facebook memes about 'bosses' awarded €7,700”.